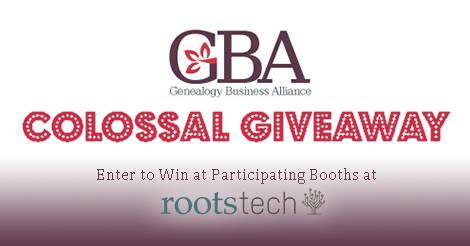 So great things have been happening with the Genealogy Business Alliance and I'm delighted about what is coming down the pike. We've met at the major conferences and had some great networking and discussions between the companies. I think it has helped to make connections and spread good business practices. 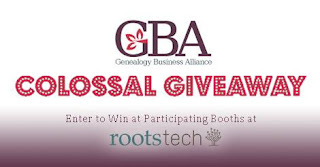 We've put together a steering committee with representatives from NGS, Ancestry, FamilySearch, RootsMagic and Legacy Tree Genealogists and we've finalized a Best Practices for Conferences document that has been a great collaboration between all of the businesses. (More on that later). 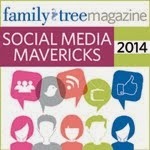 If you are a genealogy business owner and haven't been watching the Facebook Group, join us over there. We'd love to have your input. So I've been asked to participate with several genealogy leaders on a panel for the SLIG Colloquium this coming Saturday and I'm so passionate about this topic--I hope I can keep from monopolizing. The panel is discussing Tom Jones' talk at the Professional Management Conference for the Association of Professional Genealogists last year about the state of the genealogy profession. 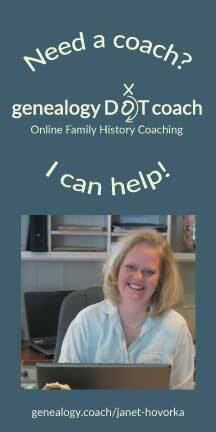 The funny thing is, many of the issues he discusses are being solved by genealogyDOTcoach and I've just spend last week talking to each of the coaches about how to deal with the challenges we are facing--which are similar to those the profession faces. I've got alot of ideas about what needs to be done and how to do it. The panelists include David E. Rencher, Billie Fogarty, Tom Jones, Russell Lynch and Jean Hibben. It is going to be a great discussion. I'm sure I'll have more to say about it here afterward. With the social planned at Finca Resturaunt for Thursday night (Thanks to Thomas McEntee for sponsoring appetizers!) it is going to be a great conference for networking.